THE TWENTY-NINTH DAY OF JUNE IN THE YEAR OF GRACE TWO THOUSAND AND SIXTEEN. The tale of the Rich Man and Lazarus in Luke 16:19-31 has long been a magnet for controversy. Does it report actual events or is it a parable? Should we read it literally or does it convey truth in symbols? What is the backdrop before which this drama unfolds? Does it picture some state between death and resurrection–or does it provide a glimpse into an everlasting hell? It is widely thought that Jesus did not originate this story but rather adapted it, taking for his own use a rabbinic parable with a familiar plot and reshaping it to serve his own purposes. But although reference is commonly made to specific details in an ancient rabbinical parable, still missing until now (to the best of my knowledge) are actual texts or specific citations to them. In mid-June 2016, I sent an inquiry to Dr. David Instone-Brewer of Cambridge, UK, asking if he knew of any specific rabbinic parables that might provide background to Jesus’ parable in Luke 16. 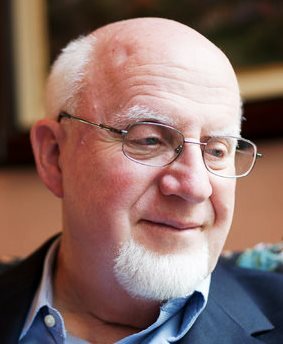 Dr. Instone-Brewer is Senior Research Fellow in Rabbinics and New Testament at Tyndale House, Cambridge, a specialist in the exact academic area of my inquiry. The first parable comes from the Jerusalem Talmud, written perhaps about the year 400. However, the Talmud is built around the Mishna, written about 200, plus rabbinical conversations, originally oral, that cannot be dated with precision. The purpose of all this literature is to preserve wisdom from the ancient past, originally transmitted by oral communication, by writing it in supposedly permanent form. At the least that means that the date a particular portion of this literature was written marks the end of its exclusive availability in oral form, and it says little if anything about the date of its origin. The roots of the first parable if not its final form, were possibly known to Jesus. The second parable is probably much later in origin than Jesus, but it is impossible to say for sure since it is impossible to prove that something does not exist. In a dream he saw a vision and one said to him, “Do not despise the children of your Lord [i.e., the Israelites].” The one [the pious], had committed one sin and departed [this life] in it [i.e., his funeral cancelled it], and the other [the wealthy publican] had performed one good deed and departed [this life] in it [i.e., his splendid funeral cancelled it]. What sin had the one committed? Far be it that he had ever committed a [serious] sin. For once he put on the tephillin for the head before the tephellin for the hand. And what good deed had the other performed? Far be it that he had ever done a [really fine] deed. But once he had arranged a meal for the bouleutai [municipal councillors] of the city and they did not come. And he said, “Let the poor eat that it be not wasted.” Others say, He once went through the marketplace, and he dropped a loaf, and a poor man picked it up, and he said nothing so as not to make him blush or shame. After some days the pious man saw in a dream his companion walking in the Garden [Paradise] under trees and by wells of water; and he saw the tax-collector, and his tongue sought to drink at the brink of a river; he tried to reach the water, but he could not. Consider two wicked men who associated with one another in this world. One of them repented of his evil deeds before his death, while the other did not, with the result that the former stands in the company of the righteous, while his fellow stands in the company of the wicked. And beholding him he says, “Woe is me . . . is there then favor shown here? We both of us committed robberies, we both of us committed murders together, yet he stands in the company of the righteous and I in the company of the wicked.” And they reply to him and say, “You fool! You were despicable after your death and lay for three days, and did not they drag you to your grave with ropes? . . . And your associate understood and repented of his evil ways, and you, you also had the opportunity of repenting and you did not take it.” He therefore says to them, “Permit me to go and repent!” And they answer him and say, “You fool! Do you know that this world is like the Sabbath, and the world whence you have come is like the eve of the Sabbath? If a man does not prepare his meal on the eve of the Sabbath, what shall he eat on the Sabbath?” Ruth R. 3.3.